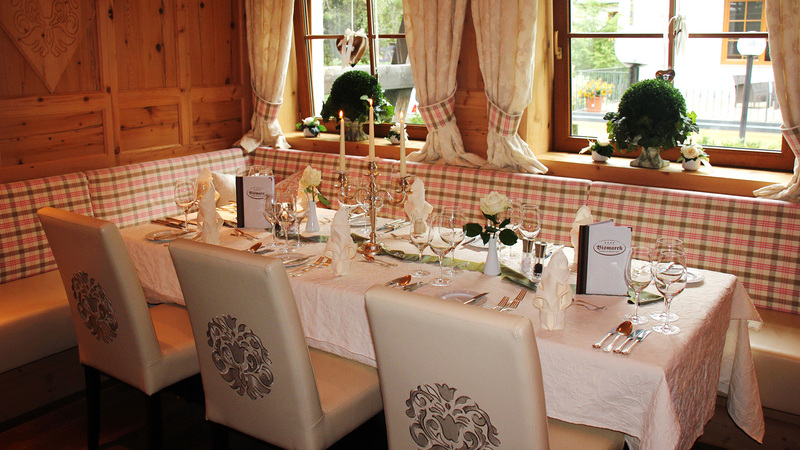 No matter what the occasion, the Hotel Bismarck’s rustic Salzburger parlour is wonderful for small private events or family parties in Bad Hofgastein - from special birthdays to golden anniversaries. We often notice that guests receive visits from their loved ones whilst on holiday at the Hotel Bismarck. Usually, there is a very special reason for the visit. 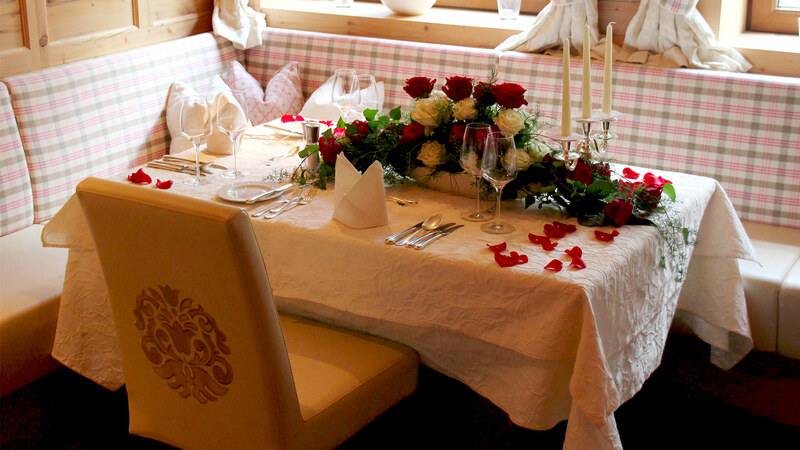 What could be better than celebrating with a delicious meal in our rustic Salzburger parlour? Once you’ve had a lovely time in this intimate setting, you’ll be sure to return to the hotel time and time again. We look forward to really spoiling you on your special day. In our Salzburger parlour, we serve our Bismarck half-board menu including an additional course as a gift on the house. We are also happy to include a little extra - a beautifully decorated table and a “sweet” surprise! With advanced notice, we are happy to consider special menu requests. Give the gift of happiness - a hotel voucher for an unforgettable time at the Hotel Bismarck! In winter, you can also sign up for CHEESE or MEAT FONDUE in our cosy Salzburger Parlour (for a small fee). You will receive a regular menu with starter, soup and dessert, but instead of the main dish of the day, you will receive the fondue of your choice.